The Secret is a very good, powerful movie about letting your secrets go. Kirk Douglas plays Mike Dunmore, a well-liked man in his community. When he is asked to be a councilman he wants to do it, but he has a secret. His grandson is his life and Mike's son Patrick always resents him, so does he tell the truth? Mike's secret is actually pretty different. I didn't expect it. Kirk Douglas puts in a great performance as usual. You really feel for him. The only weakness is the grandson who seems a little too coached for his line readings. It's the type of feel-good fare you would catch on the Hallmark Channel in between repeats of Matlock or McBride. 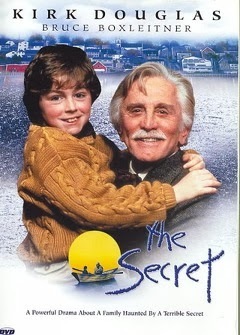 The Secret is a fine drama. Check it out if you get the chance.